The incident took place Tuesday, police told ABC News. Michael Avenatti, the attorney for adult film star Stormy Daniels, was arrested in Los Angeles on suspicion of domestic violence, police said, but the lawyer maintains "I have never struck a woman." The incident took place Tuesday and Avenatti was arrested Wednesday, police said. Avenatti was booked at 3:44 p.m. local time Wednesday on suspicion of domestic violence with injuries, according to booking records obtained by ABC Station KABC. His bail was set at $50,000, the Los Angeles Police Department said. The case will be "presented to the Los Angeles County District Attorney for prosecution," the LAPD said in a press release. 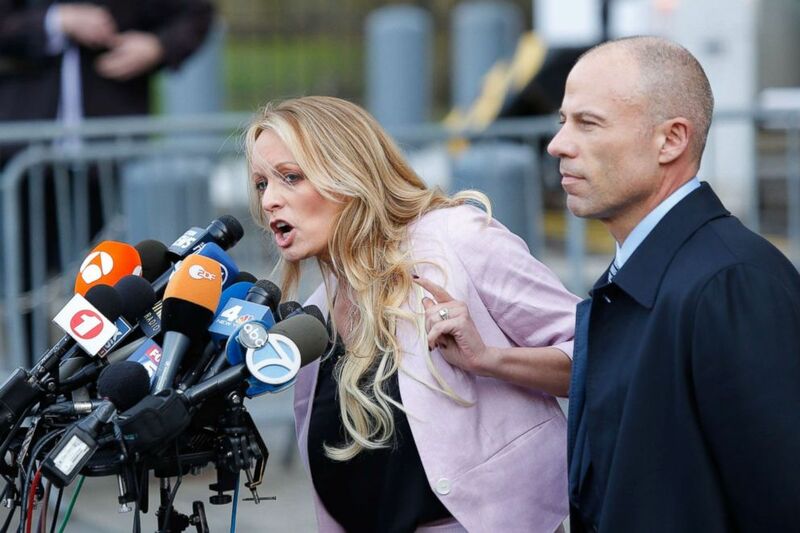 (Eduardo Munoz Alvarez/AFP/Getty Images) Adult-film actress Stephanie Clifford, also known as Stormy Daniels, speaks outside U.S. Federal Court with her lawyer Michael Avenatti in New York, April 16, 2018. Avenatti tweeted Thursday that he has "NOT been charged with anything, let alone a felony." "Numerous other 'facts' being reported are completely bogus," Avenatti wrote in his tweet. Avenatti is due in court on the charge Dec. 5. After being released on bail, Avenatti said he is "confident that I will be fully exonerated." "First of all, I want to thank the hardworking men and women of the LAPD for their professionalism and their work today. They had no option in light of the allegations. Secondly, I have never struck a woman. I never will strike a woman. 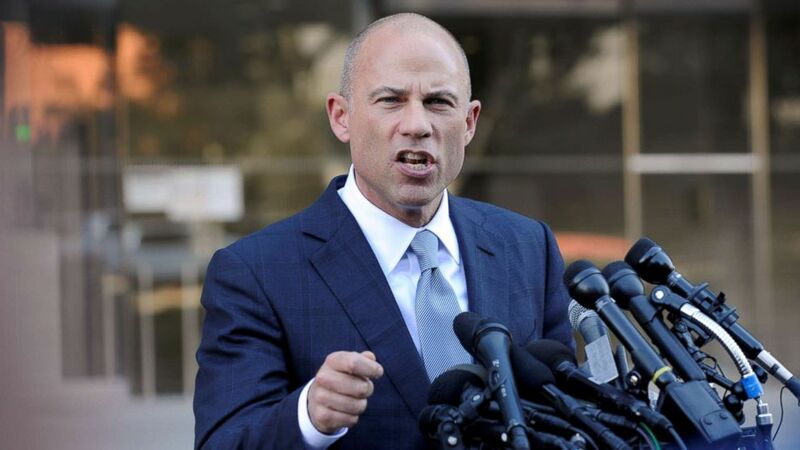 I have been an advocate for women's rights my entire career and I'm going to continue to be an advocate," Avenatti said. "I am not going to be intimidated from stopping what I am doing. I am a father to two beautiful, smart, daughters. I would never disrespect them by touching a woman inappropriately or striking a woman. I am looking forward to a full investigation at which point I am confident that I will be fully exonerated. I also want to thank everyone for their support that has reached out. You know my character. You know me as a man and I appreciate it. Thank you." Avenatti also issued a statement through his law firm denying the allegation. "I wish to thank the hard working men and woman of the LAPD for their professionalism they were only doing their jobs in light of the completely bogus allegations against me. I have never been physically abusive in my life nor was I last night. Any accusations to the contrary are fabricated and meant to do harm to my reputation. I look forward to being fully exonerated." (Andrew Cullen/Reuters, FILE) Michael Avenatti, lawyer for adult film actress Stormy Daniels, speaks to the media in Los Angeles, Sept. 24, 2018. Both Avenatti's estranged wife, Lisa Storie-Avenatti, who he is in the process of divorcing, and his ex-wife, Christine Avenatti-Carlin, issued statements saying he was never violent with them -- the former through her lawyer. There is a lot of inaccurate reporting out there. For example, (1) I have NOT been charged with anything, let alone a felony; (2) Lisa wasn't even with me Tues; etc. Numerous other "facts" being reported are completely bogus. Why is TMZ's news "standard" the new standard? "My client states that there has never been domestic violence in her relationship with Michael and that she has never known Michael to be physically violent toward anyone," Valerie Prescott, Lisa Storie-Avenatti's lawyer, said. "My client requests that the media respect her privacy and that of the parties' young son." Christine Avenatti-Carlin, Avenatti's first wife and mother of his two daughters, defended her ex-husband, too. "I've known Michael for the last 26 years. We met when he was 21 years old and we were married for 13 years," she said. "Michael has always been a loving, kind father to our two daughters and husband. "He has never been abusive to me or anyone else," Avenatti-Carlin added. "He is a very good man." ABC News' Sabina Ghebremedhin and Kaitlyn Folmer contributed to this report.